The Royal wedding of Prince Harry of Wales and Ms Meghan Markle is fast approaching, and we can’t get enough of it. Ever since Kensington Palace released an official statement confirming the royal wedding date, speculations about the wedding, the guests, the dress and all every detail have been rife! 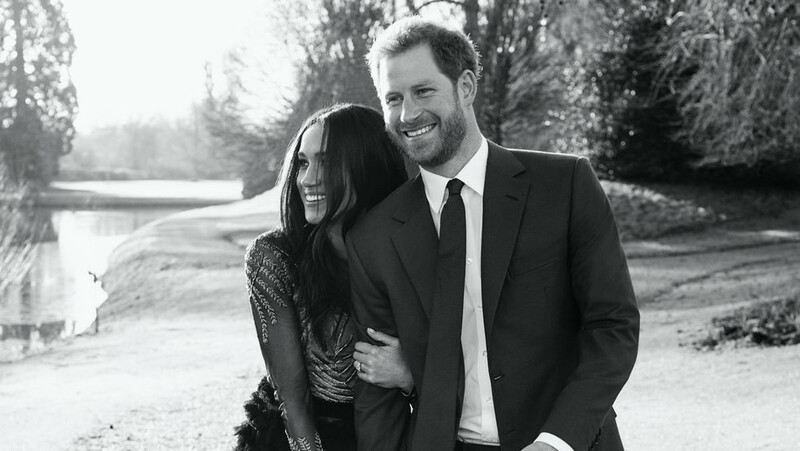 Amidst all the rumours and speculations, we also have some verified details about the wedding, along with timings and events you might like to know about, especially if you're planning to host a royal wedding garden party. On December 15, Kensington Palace tweeted that Prince Harry and Ms. Meghan Markle will exchange the wedding vows on Saturday 19th May, 2018. Giving a break to the usual royal tradition of getting married on weekdays, Prince Harry and Meghan Markle chose to wed on a Saturday. The venue for the royal wedding is St George’s Chapel at Windsor Castle. The capacity of the chapel is around 800, and it has hosted weddings for many other royals including Harry's father, Prince Charles to Camilla Parker Bowles in 2005, and his uncle Prince Edward, Earl of Wessex to Sophie Rhys-Jones in 1999. Royal weddings have always been organised under the strict eye of the Lord Chamberlain’s Office at Buckingham Palace. It's believed, however, that the young royal couples are taking a leading role in the planning of the day. The Lord Chamberlain’s Office is looking after all the ceremonial preparations under the guidance of Edward Lane Fox, the Prince’s private secretary. The Royal Family are paying for the core aspects of the day, such as flowers and decorations and entertainment. Before we divulge more details on the wedding, let's recap on the proposal. As we heard in their exclusive engagement interview, Prince Harry got down on one knee to propose to his girlfriend of 18 months, as the couple cooked a roast dinner at their Kensington Palace home. The proposal was intimate and low key, much like their relationship had been in the preceeding months. The royal couple will exchange vows at noon on Saturday 19th May. The service will last for about an hour and will be conducted by the Dean of Windsor whilst the Archbishop of Canterbury will officiate as the couple make their vows. The first guests, members of the public, will arrive at the grounds of the Windsor Castle at around 9 a.m. The weddings guests will arrive at the venue between 9.30 a.m. and 11 a.m. The coach will drive the guests to the Round Tower and from there they will walk to St. George’s Chapel’s South Door. At 11:20 am, the royal family will leave for the chapel. Prince Harry and Prince William will head for the venue on foot. They will reach the West Steps to greet two hundred charity representatives. The bride will arrive at the castle with her mother after leaving their hotel by car. Once at the castle, the bride’s mother will exit the car and some bridesmaids and page boys will accompany the bride to the church. It had been confirmed that the bride's father, Thomas Markle will accompany her down the aisle, however following recent media attention this is now looking less likely. The ceremony is likely to end at 1 p.m. The newlywed couple will then leave Windsor Castle for a two-mile procession along the High Street. The couple will leave on an Ascot Landau carriage pulled by Windsor Grey horses. They will return to the Windsor Castle by the Long Walk for their reception. A formal wedding reception will be hosted by Queen Elizabeth II post the procession. The reception will be held in St. George’s Hall. About 600 guests will attend the afternoon reception. An evening reception, hosted by Prince Charles will witness the presence of about 200 friends and the family members. The reception will be held at Frogmore House which is a country house located to the south of the Windsor Castle. Alongside the chapel choir, the couple have requested performances from 19-year-old cellist Sheku Kanneh-Mason, winner of 2016 BBC Young Musician of the Year, and gospel singers, The Kingdom Choir. Speculation as to who will perform at the couple's private evening reception includes Ed Sheeran, Sir Elton John and the Spice Girls. As per the royal tradition, the wedding invitation has been created by Barnard Westwood. The invitations are black and gold in colour, burnishing has been done to ensure proper sheen and the cards are gilded around the edges. The three-feathered badge of the Prince of Wales sits in the centre. The wedding invitations have been sent out to 600 guests. As Prince Harry is sixth in the line of succession, he is not expected to invite diplomats from around the world. As such, even Prime Minister, Theresa May, will not be attending. Guests include those who have direct relationships with the couple, mostly family and friends. An additional 2,640 guests will be present inside the ground of the Windsor Castle to watch the ceremony on specially erected screens. This includes 100 local school children, charity representatives and members of the Windsor community. Ms. Markle’s mother, Doria Ragland, and father, Thomas Markle Snr will attend the wedding along with other members of the Markle family. The expected guest list includes tennis star Serena Williams, Sarah Rafferty, Wendell Pierce, and Patrick J Adams, who are Meghan’s Suits co-stars. The Prince will write his speech and Ms. Markle is also expected to deliver her own speech breaking with tradition. Mr. Markle is not expected to deliver a speech at his daughter’s wedding. Prince William, the Duke of Cambridge will be Prince Harry’s best man. Prince George and Princess Charlotte are expected to be amongst the page boys and the flower girls. M.s Markle has chosen not to have any adult bridesmaids or a maid of honour, stating she simply couldn't choose between her group of close friends. It is expected, however, that there will be several young attendants, including Prince George and Princess Charlotte, the Prince's nephew and neice. As with any royal wedding, 'the dress' has been a subject of much discussion across the globe. Ms. Markle is expected to wear a whimsical wedding dress, possibly designed by couture duo Ralph & Russo (who designed the dress for her engagement shoot), French designer Roland Mouret or Canadian Erdem Moralioglu. The couple have chosen an organic lemon and elderflower cake covered in buttercream and fresh flowers made by Claire Ptak, owner of Violet Bakery in Hackney. Claire Ptak is originally from Meghan's birthplace, California, and had been interviewed by the bride for her former lifestyle blog. Florist Philippa Craddock will take care of the floral arrangements at the royal wedding. The chapel will be decorated with wild meadow seasonal flowers and plants, many of which have been sourced from the royal parks and crown land. Arrangements will be distributed to local charities following the wedding. The bride’s floral bouquet is likely to have fresh and fragrant peonies. As the royal wedding is scheduled to take place on Saturday, there won’t be a new bank holiday. Pubs and bars will, however, enjoy extended licensing hours. As per the tradition, Prince Harry will receive a title from the Queen as a wedding gift. He is likely to become the “Duke of Sussex” and Ms. Markle will become “HRH The Duchess of Sussex”. The destination of the honeymoon is still a subject of mystery. The possible destinations include Seychelles or Botswana, a place they've visited together early in their relationship. The couple have opted to delay departing for their honeymoon for a short while after the wedding, and will be undertaking a public engagement during their first week of marriage.